as well as licensed CEU courses on NPWT for professionals. The Wound Vac Company offers sales & rentals of negative pressure wound therapy equipment, as well as licensed CEU courses on NPWT for professionals. To make negative pressure wound therapy (NPWT) better and more affordable. We accept Medicare and most major insurance carriers in most states. supplying patients with the advanced wound care and treatment they need, we're here to help. At The Wound Vac Company, "We do negative pressure" is more than just our tag line – it's literally all we do. Have questions? Contact us and we'll get right back to you – or click here to get a free quote. 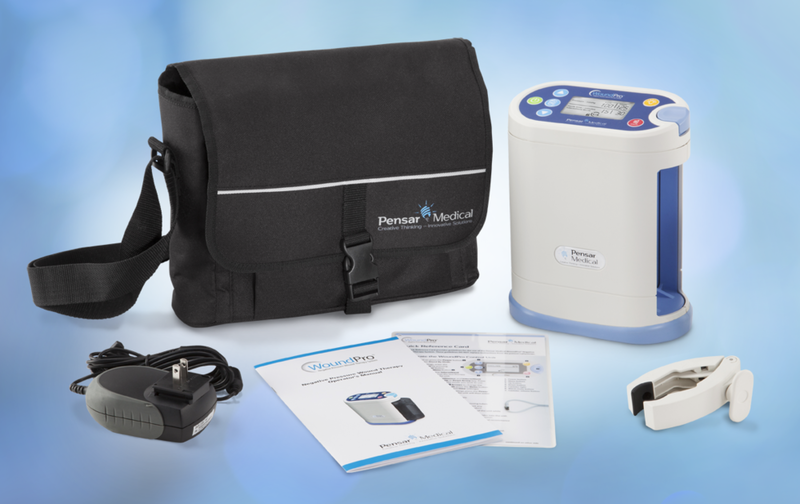 We are one of the only companies in the country to offer sales and rentals of wound vacs and wound care products directly to healthcare professionals, skilled nursing facilities and medical equipment suppliers. We are a Master Distributor for Pensar Medical, makers of the WoundPro® Control Unit, Dressing Kits and Collection Canisters. These products are made in the U.S.A. and, we believe, the best wound vacs & supplies available on the market. Negative pressure wound therapy, or NPWT, is used today to heal a wide variety of complex wounds. The process aids in tissue formation, helping wounds heal more rapidly. It's often used to treat combat wounds or other challenging, "non-healing" injuries. However, while modern "wound vacs" are very sophisticated and the technology might seem recent, the primary concepts actually go back thousands of years. New to negative pressure wound therapy and treatment? We have a list of resources and links for medical staff, caregivers and insurance adjusters to provide more information on these and related topics, such as long term nursing and home care. We also have two videos for healthcare staff on how to set up the WoundPro® Control Unit and the proper application of wound dressings. For additional reading, we offer links to current articles on the wound healing process and the development of wound vacs and related equipment. Here at The Wound Vac Company, we are always striving to improve. If you’ve had a good experience with our wound vacs, our customer service or our training courses – or if you haven’t – we want to hear about it. Please take a moment to let us know your thoughts, ideas and suggestions.